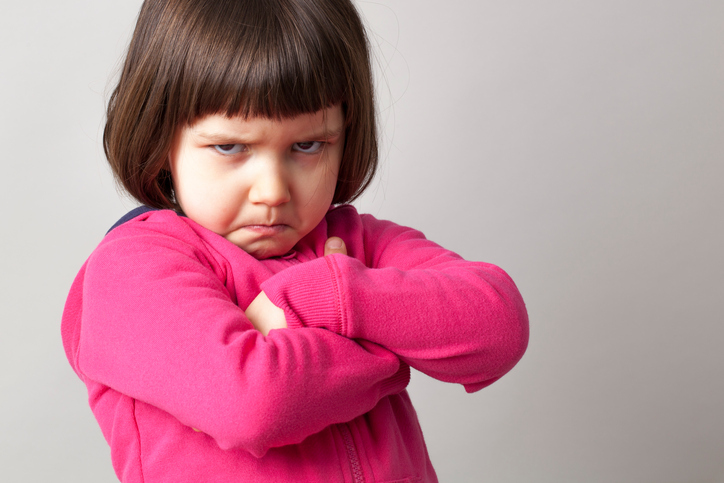 To sulk means ‘to be silent, avoid normal conversation, or keep apart from others because you are angry or offended.’ As a noun, a sulk or the sulks is a state or a sudden fit of sulking. I'm sorry I said I didn't like your new haircut; please stop sulking! The teenager stormed off to her room to sulk. Jeremy is in a sulk because we won't let him go to his friend's party. Martha always gets the sulks when she doesn't get what she wants. Sulk is a relatively new word. Both the noun and the verb date back to the late 18th century, and are back-formations from the adjective sulky. Sulky dates back to the mid-18th century and its origin is uncertain. Some linguists have suggested that it is connected to the obsolete adjective sulke (hard to sell), or the Old English adjective asolcen (idle, lazy or slow) from the verb aseolcan (to be or become weak, idle or sluggish), from the Proto-Germanic seklan, which would make it related to the Middle High German selken (to drop or fall). Other linguists, however, believe its origin may have been imitative, as is often the case for words with similar meaning, like miff or mope. Interestingly, sulky was also a noun in the mid-18th century, which probably came from the adjective, meaning ‘a light, one-person carriage with two wheels.’ It was probably given this name as a play on the idea of standoffishness, as the person in the carriage rides alone.